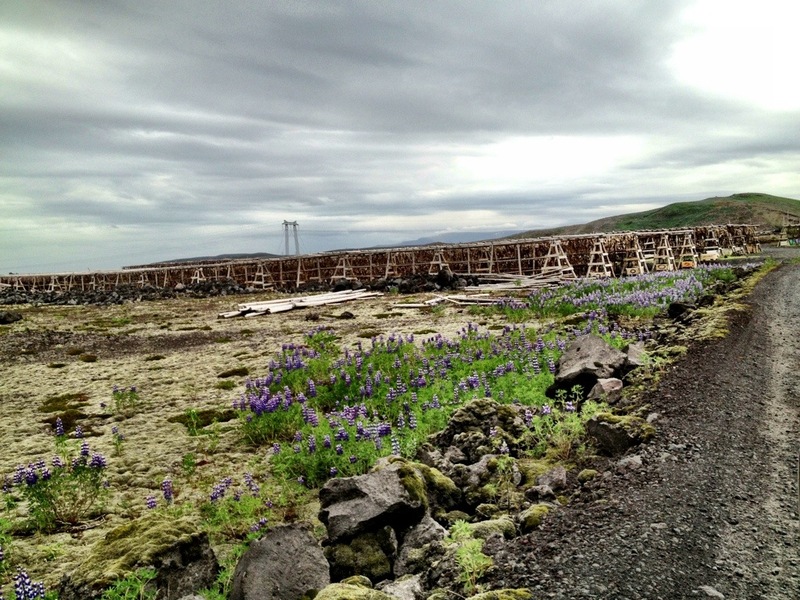 It looked like a mass graveyard amongst purple flowers. It certainly smelled like decay. And in a way, it was. 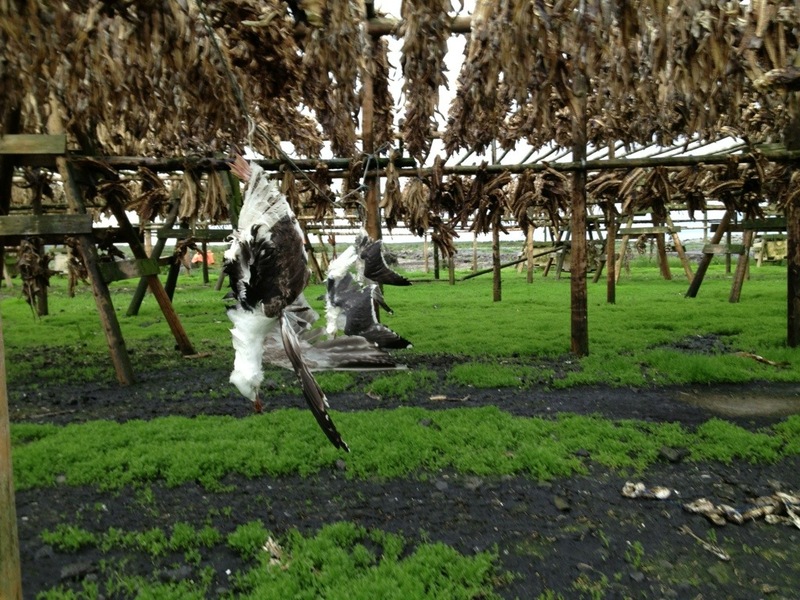 It was difficult to see what was actually hanging there, row after row, twenty minutes out of Reykjavík. So we stopped the car and took a look. We found dried fish. Organised in parts. Heads, bodies, tails, and whatever else fish have (you can tell I’m not a fish person). So unexpected, because we forgot we were in Iceland. 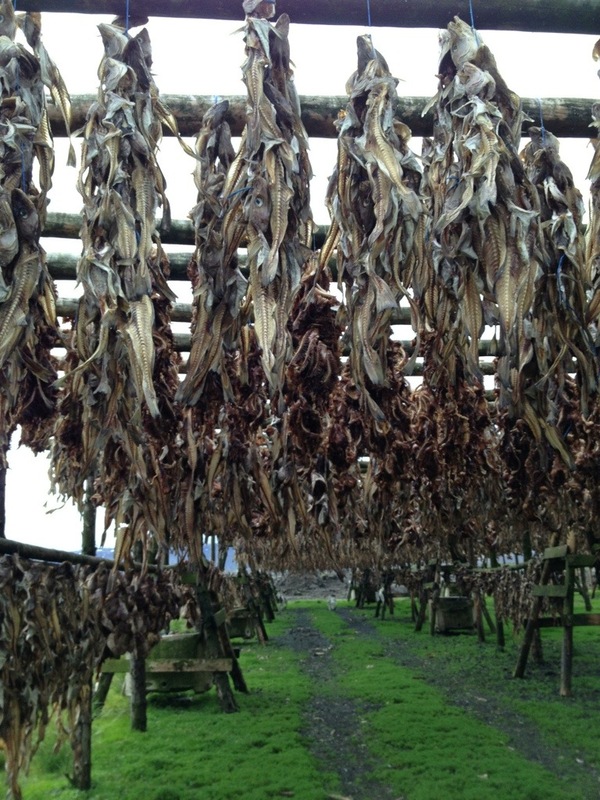 Without a tour guide to tell us what it was, we could only surmise that someone was drying fish commercially. These fish would probably end up being sold in the supermarkets as harðfiskur, or ‘hard fish’ as you would literally translate it. 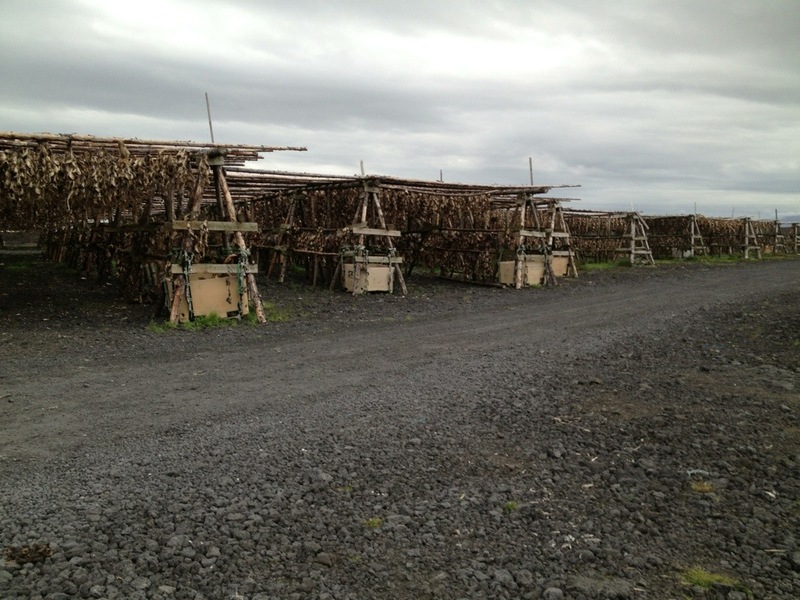 Total Iceland says that harðfiskur is worthy of its name: it’s wind-dried for months on end so that it’s as hard as a rock, hammered to smithereens and then eaten like candy. 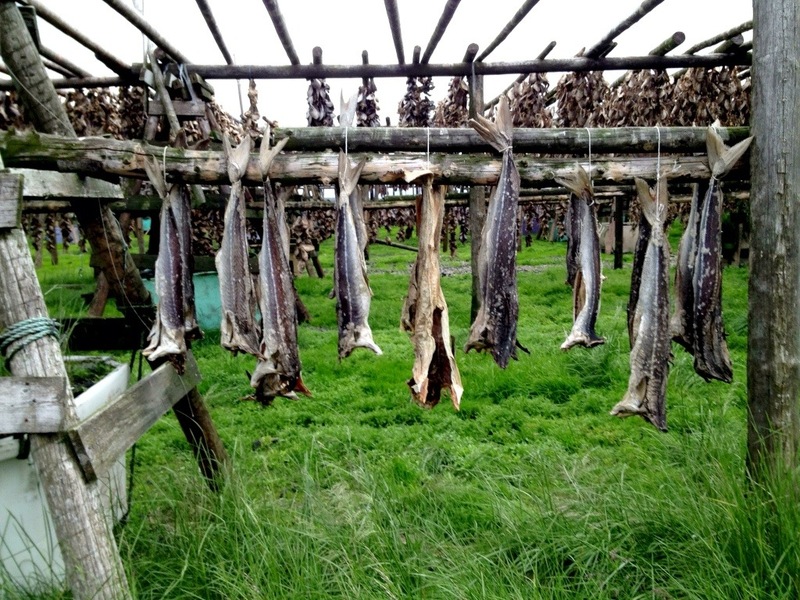 A smelly old Icelandic food speciality, the equivalent of haggis in Scotland and mattak in Greenland. Something served at dinner parties, an acquired taste. 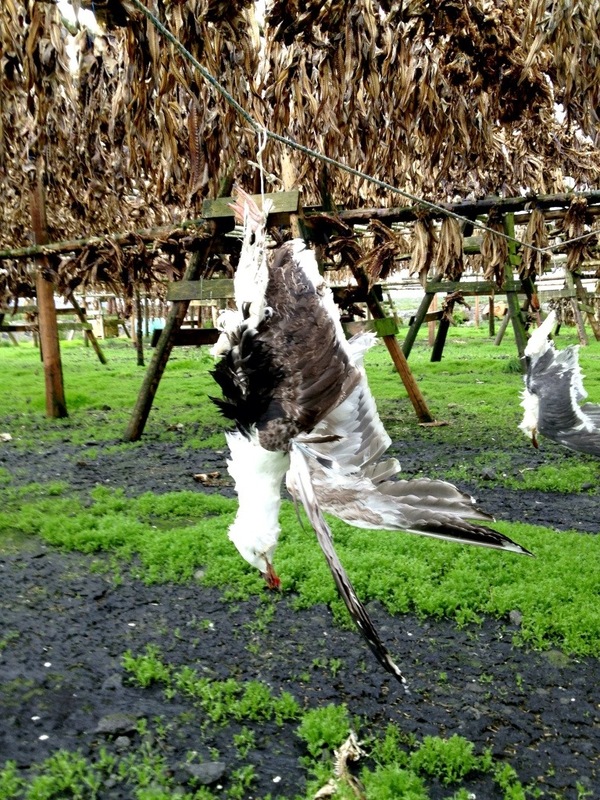 A few dead seagulls hung by their feet. A warning sign for the birds’ cousins to stay away. Or maybe the people are trying a new recipe: hard-bird. We took the seagulls as a sign that our welcome was over and drove away feeling more solemn than when we came. Rest in peace, dear fish! Iceland: Hiking on Vatnajökull glacier! 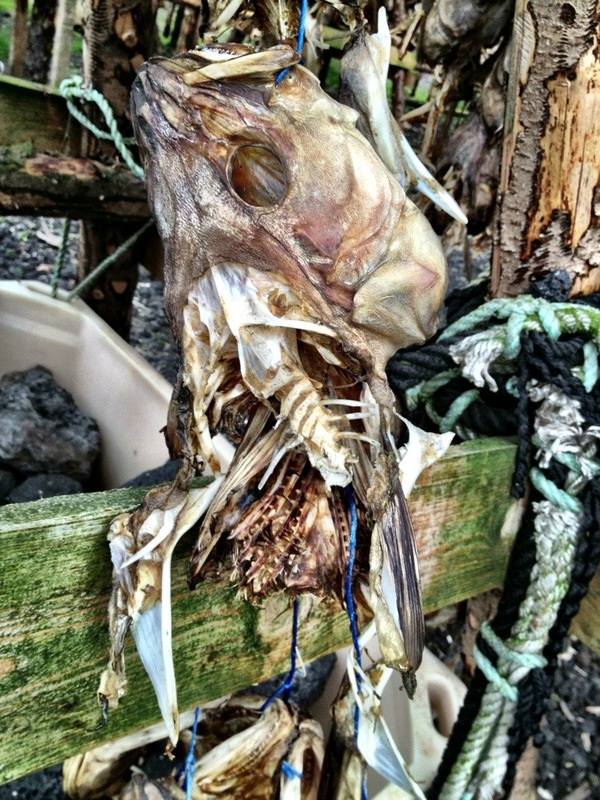 The fish heads in your nice photos end up in “supermarkets” alright, albeit not in Iceland but in Africa, in Nigeria – and eventually in casseroles in Nigerian homes and restaurants, mainly in Iboland (Biafra/Eastern Nigeria) as welcome proteinous addition to their stew of vegetables, spices – and crushed harðfiskur. 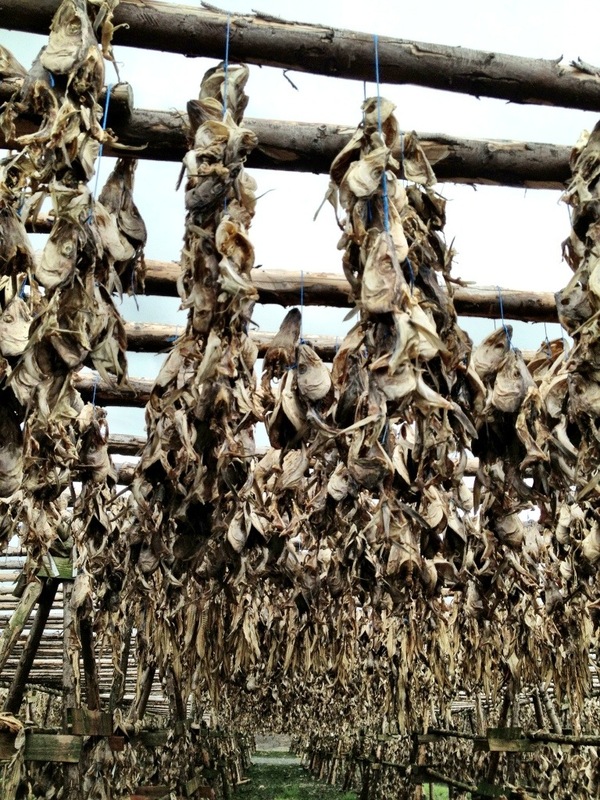 Greetings from an ex-exporter of seafood – including dried fish. And thanks for your wonderful writing! Hi Kristjan, how Interesting that it ends up in Nigeria and other parts of Africa! In Greenland we also export seafood, fish heads go to Asia. how do they prevent flies and birds? Sounds like biltong – south african air dried meat.